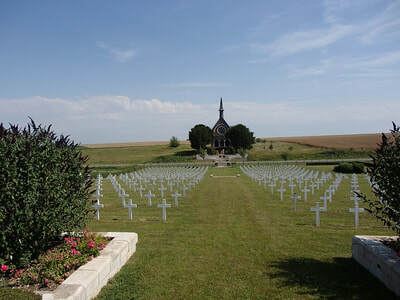 The village of Serre is 11 kilometres north-north-east of Albert. Using the D919 from Arras to Amiens you will drive through the villages of Bucquoy, Puisieux then Serre-les-Puisieux (approximately 20 kilometres south of Arras). 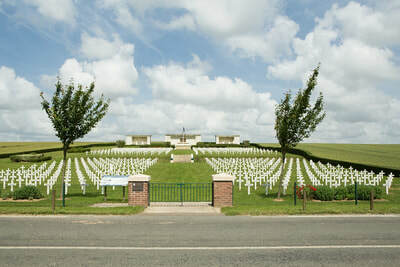 On leaving Serre-lès-Puisieux, 700 metres further along the D919, Serre-Hébuterne French National Cemetery can be found on the right hand side. 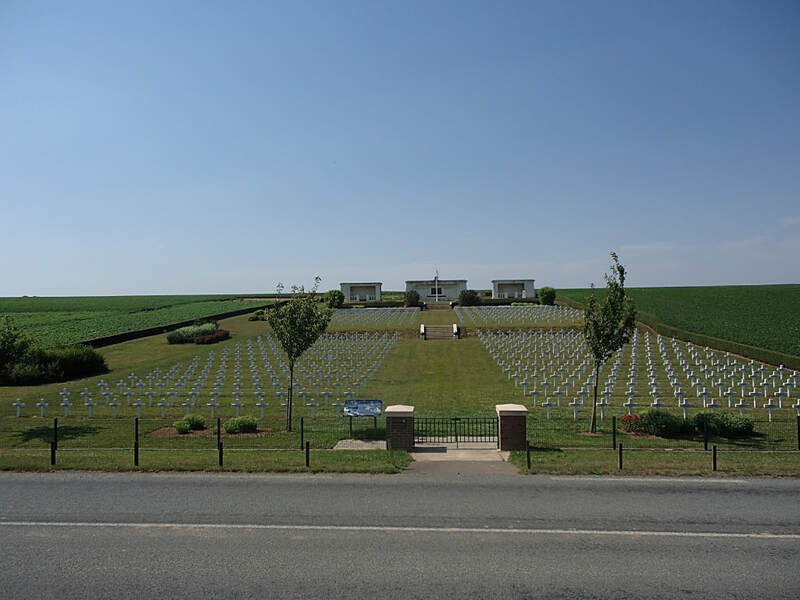 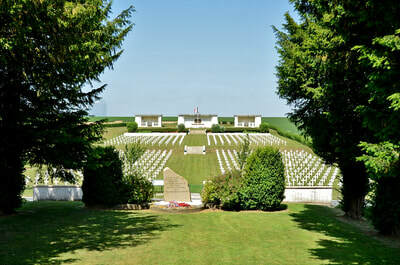 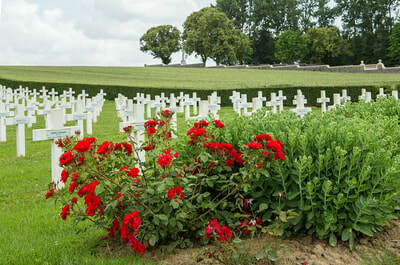 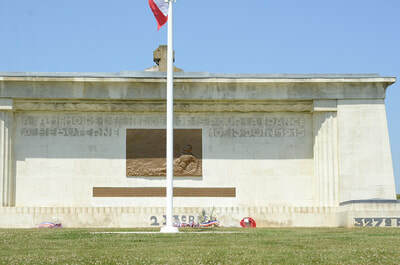 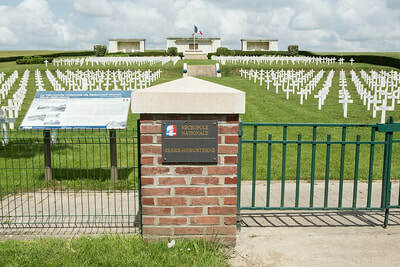 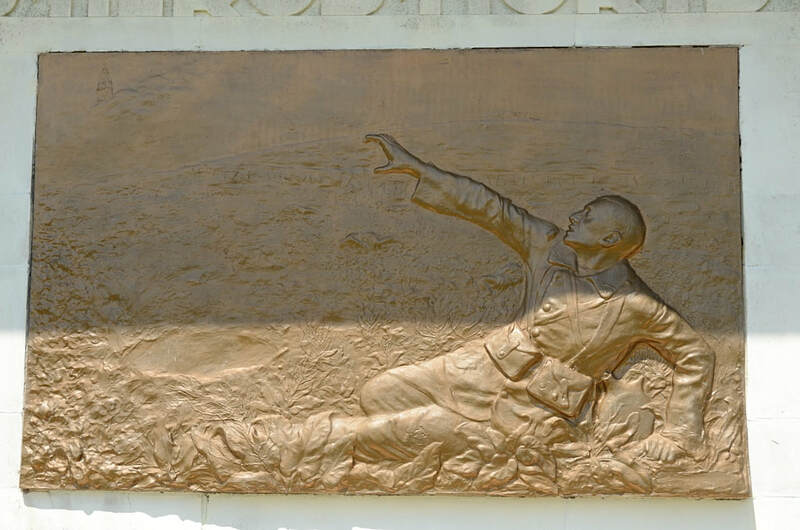 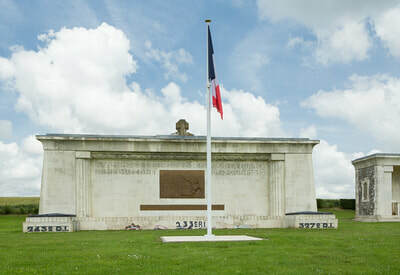 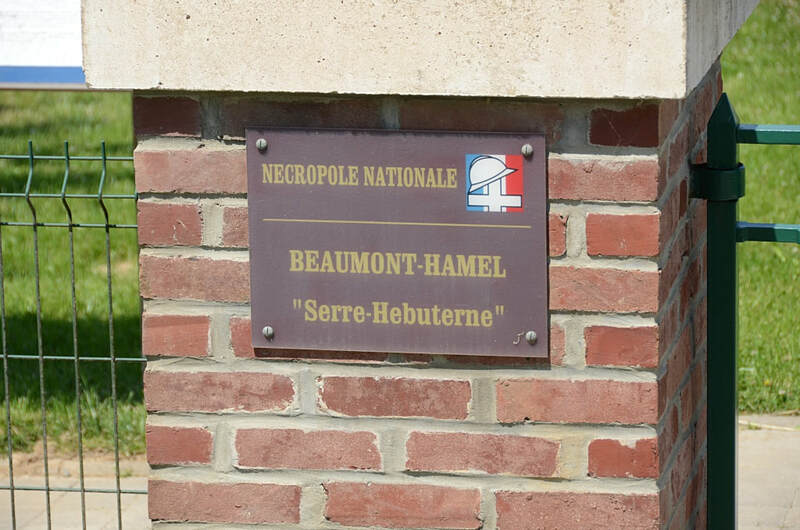 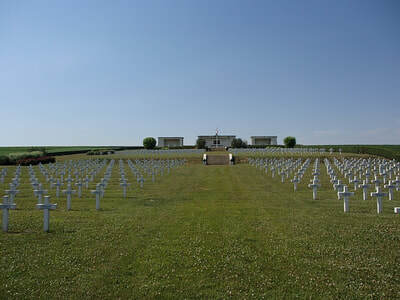 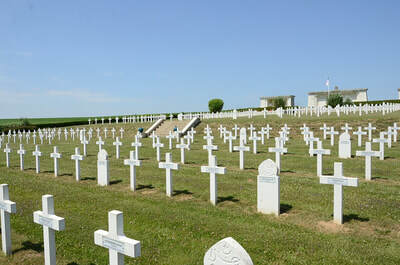 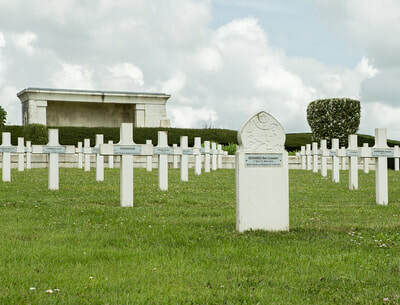 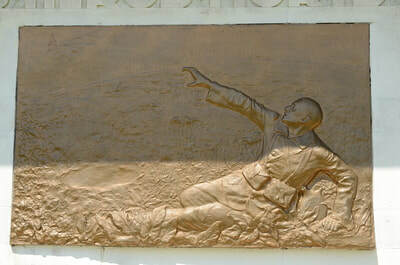 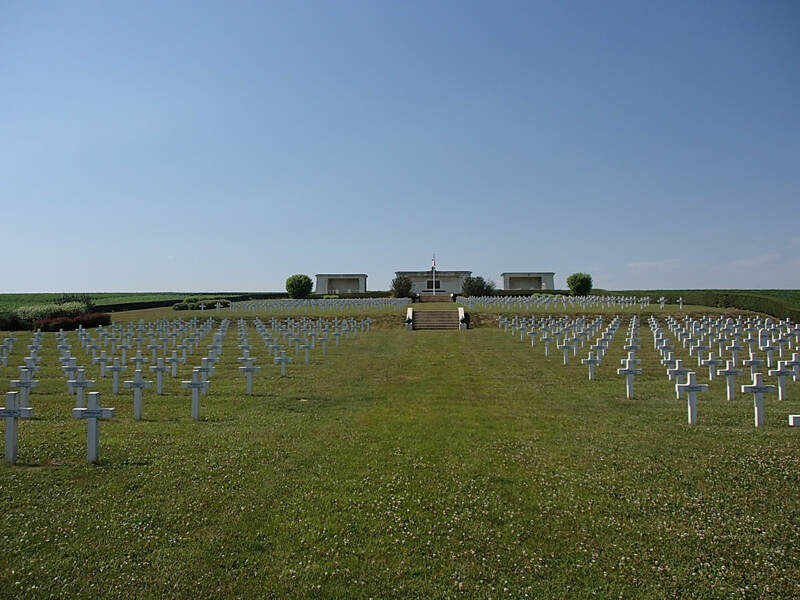 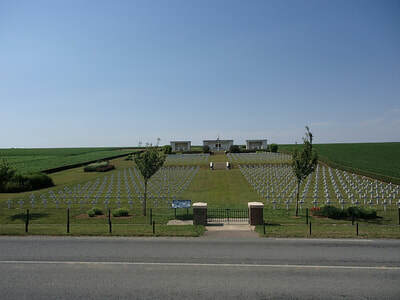 Serre-Hébuterne military cemetery was created between 1919 and 1923. 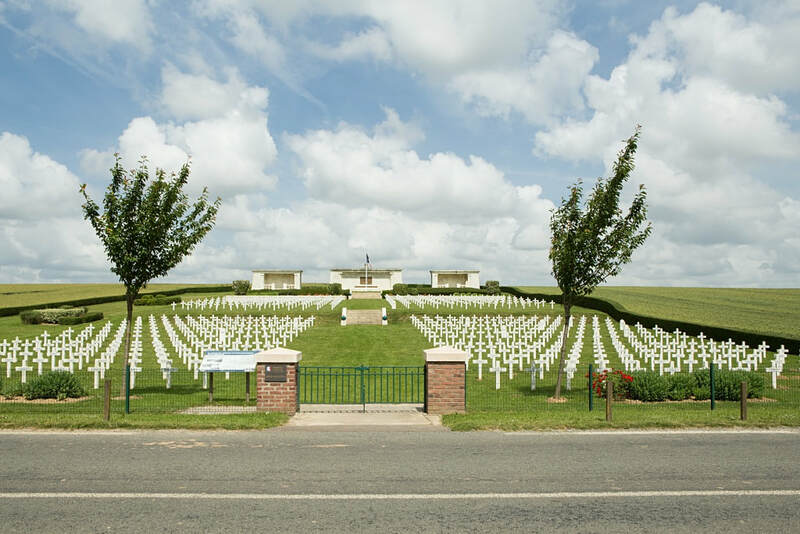 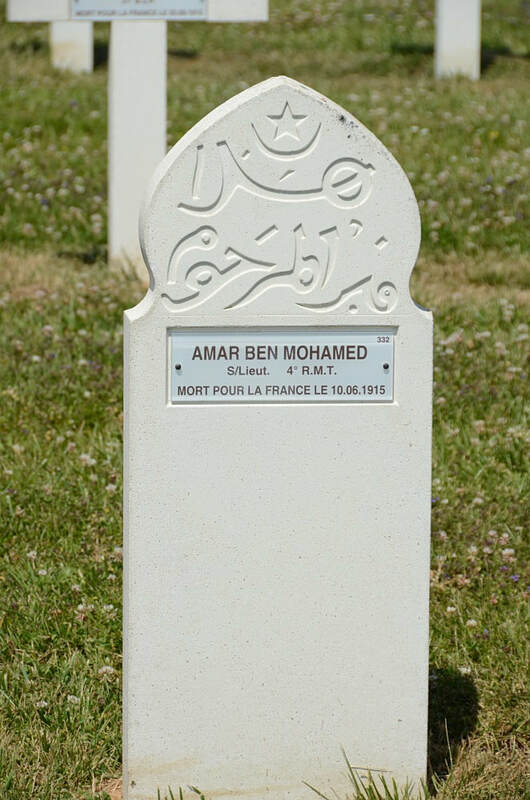 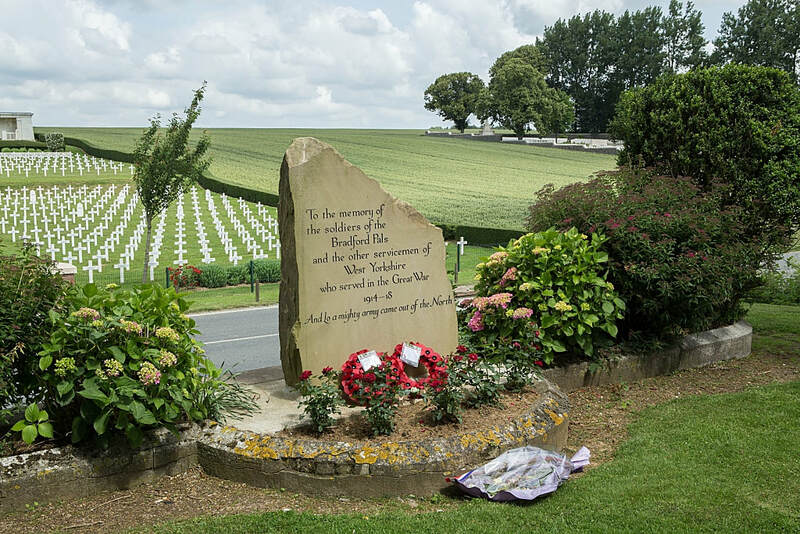 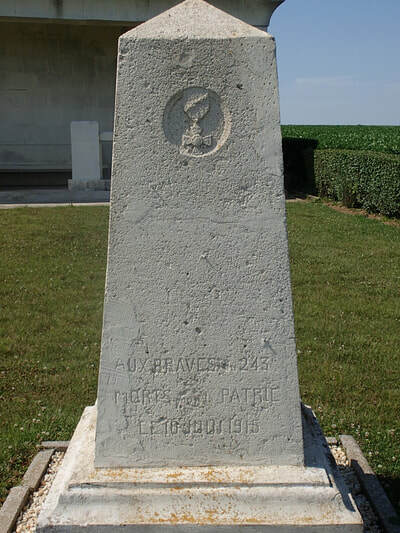 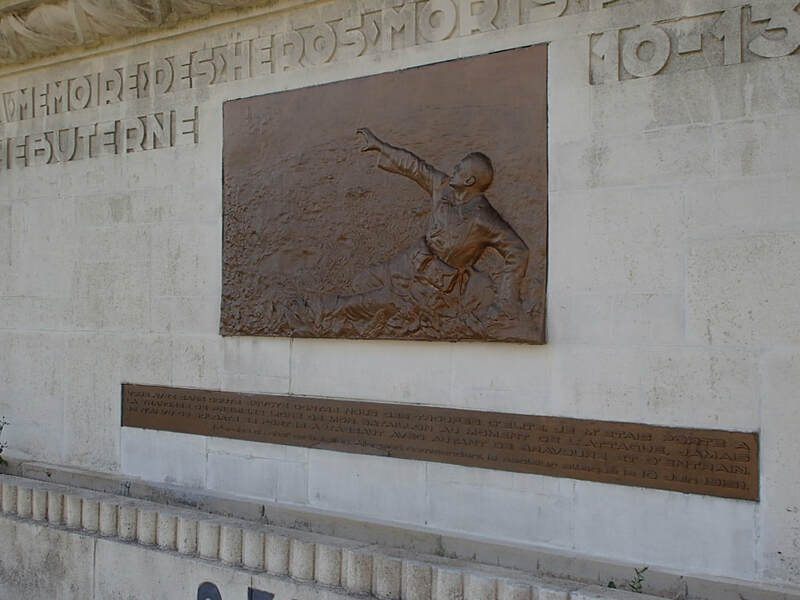 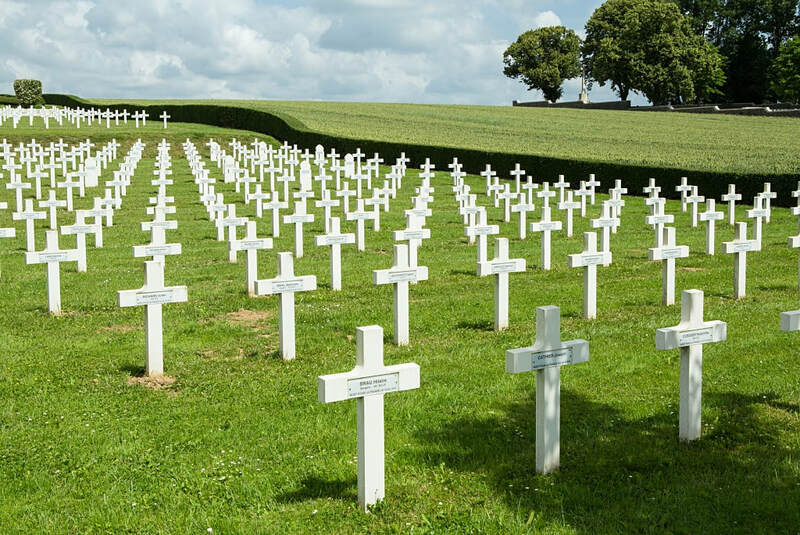 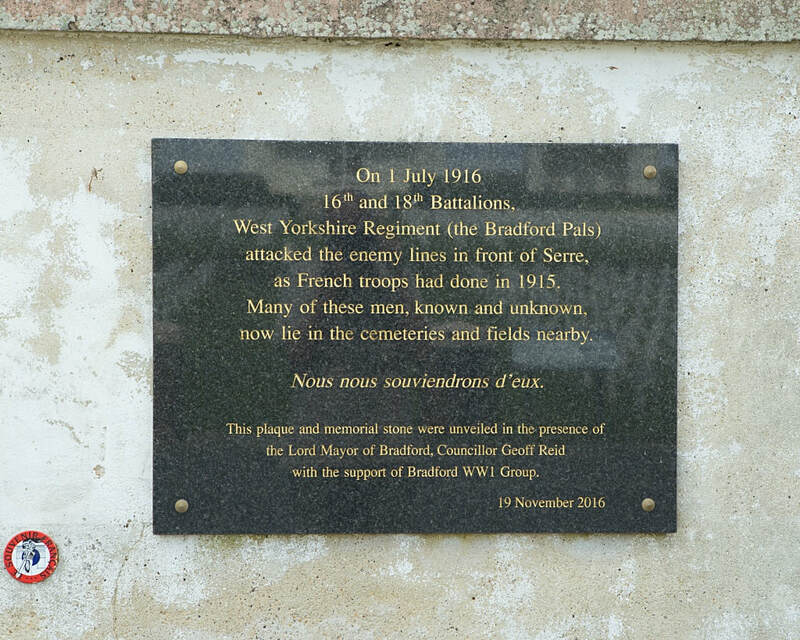 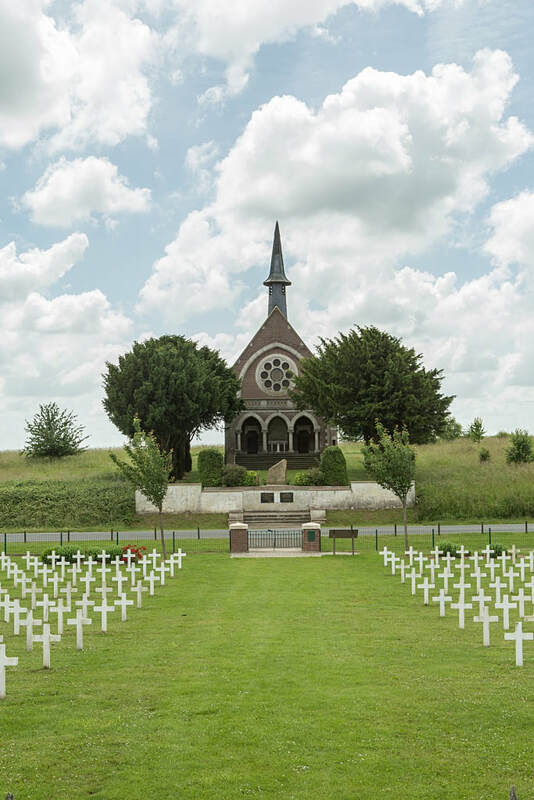 It contains the graves and remains of French soldiers killed in action during fighting against the German front line at Hébuterne from 10th to 13th June 1915; over a year before the main Somme Offensive of July 1916. 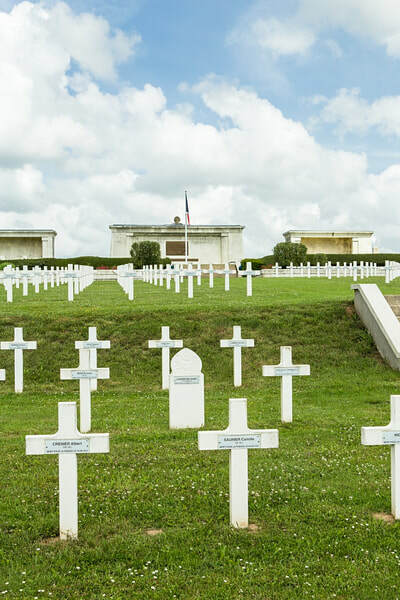 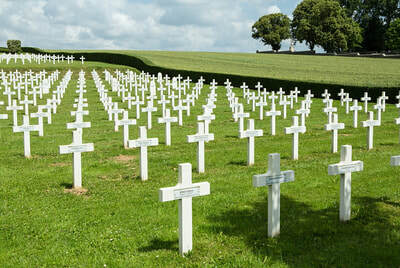 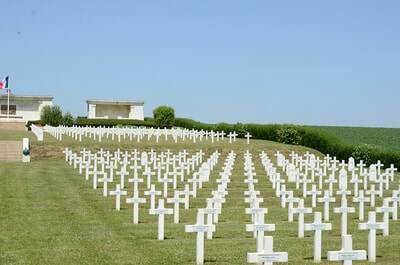 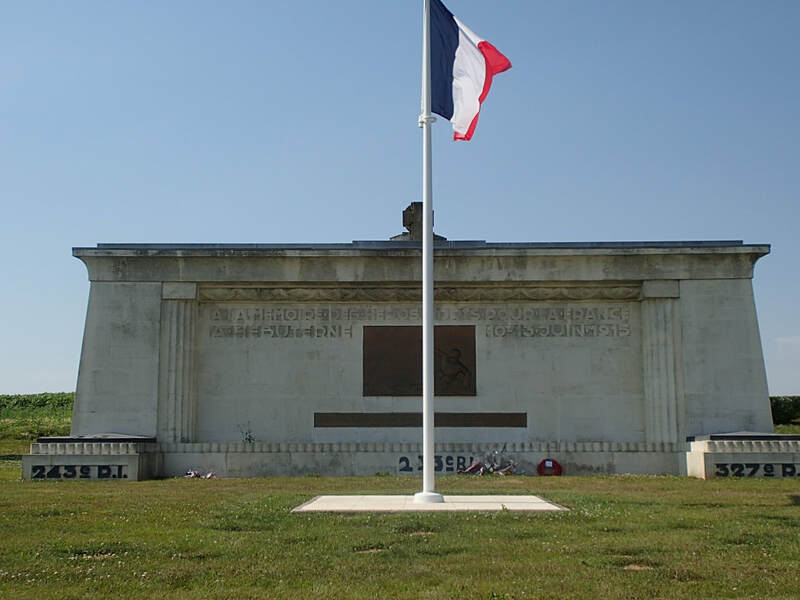 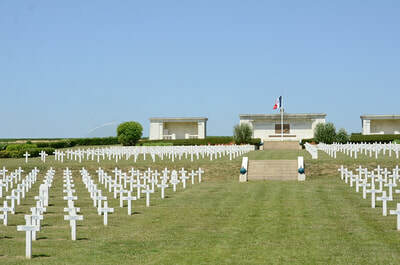 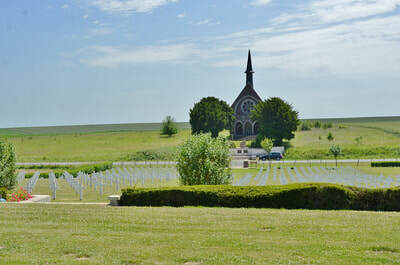 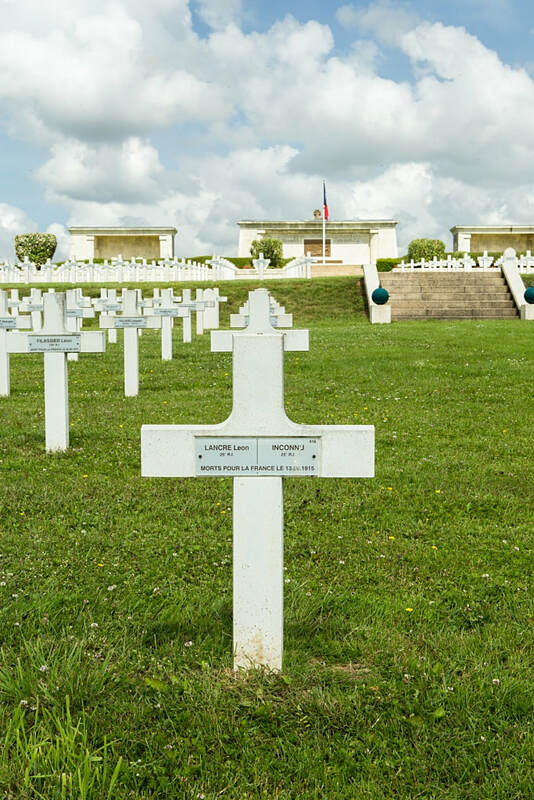 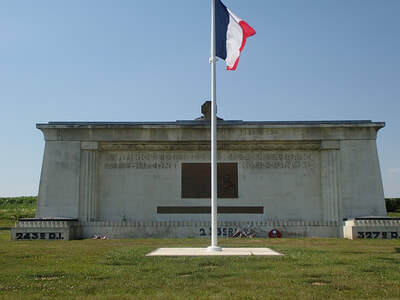 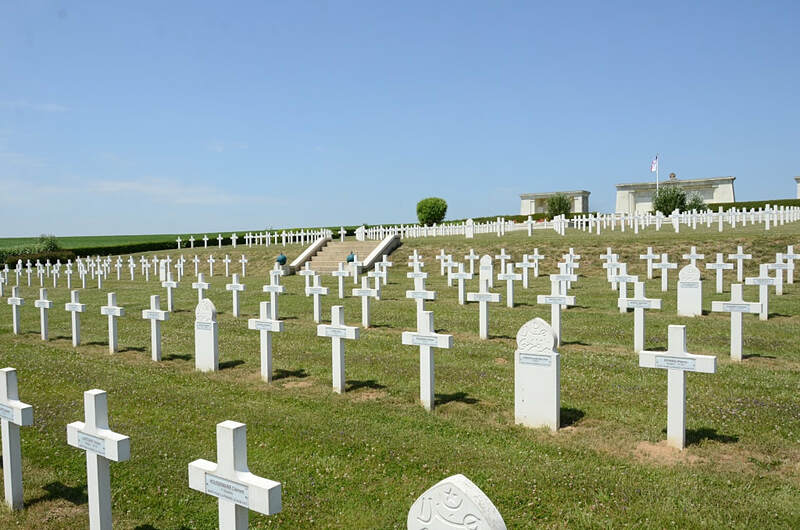 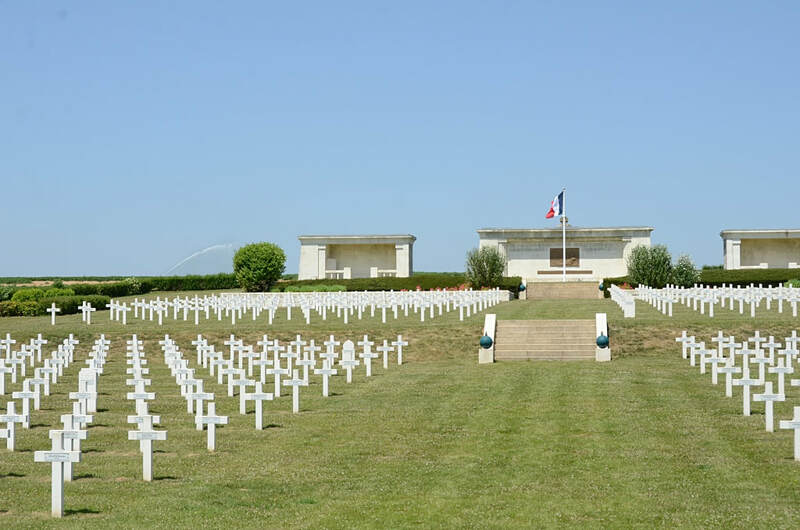 The cemetery is the final resting place of 834 French soldiers, of whom the remains of 240 lie in an ossuary. 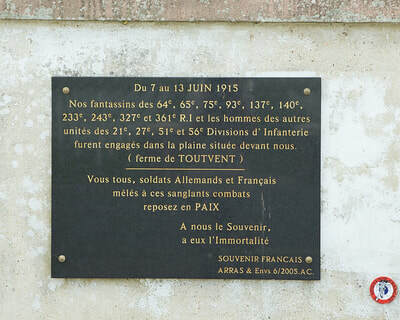 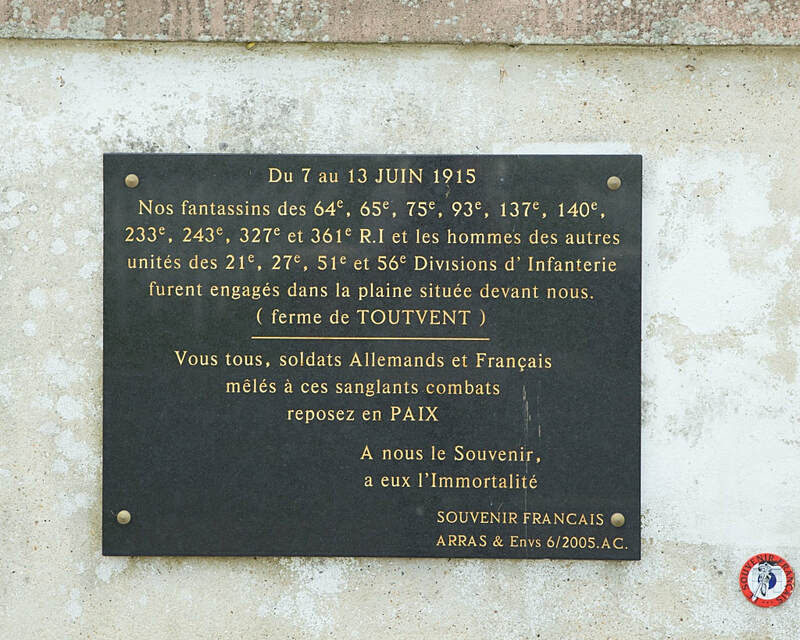 There is a commemorative plaque to the dead of 243e Regiment d'Infanterie.